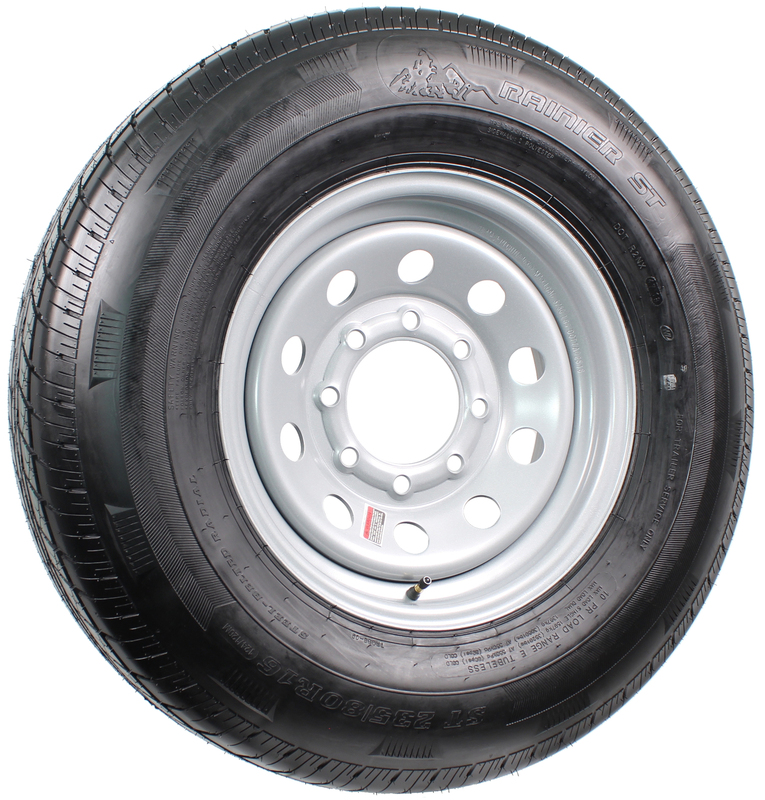 Rainier ST235/80R16 LRE Radial on 16” 8-Lug Silver Mod Assembly | Trailer. Set. Go! The Rainier STR is designed with a light truck appearance coupled with the durability, high load capacity and rigourous demands of ST tires.